Something old, something new. Take a M1903A3 Springfield, put a laser in its nose, and practice your off-hand shooting until staying on focus with the front sight throughout the shot process becomes a reflex. If the last thing you see is the front sight, the shot is in. If the last thing you see is the bull, it’s out. Simple as that. If you had told someone in the 1920s or 1930s that this much tech would one day be available to aid in training … come to think of it, it’d have made real riflemen smile. Dennis was using the BeamHit 190 series Personal Marksmanship Training System. This interactive dry-fire training system uses a laser detecting device to transmit hits directly to a computer in real time. 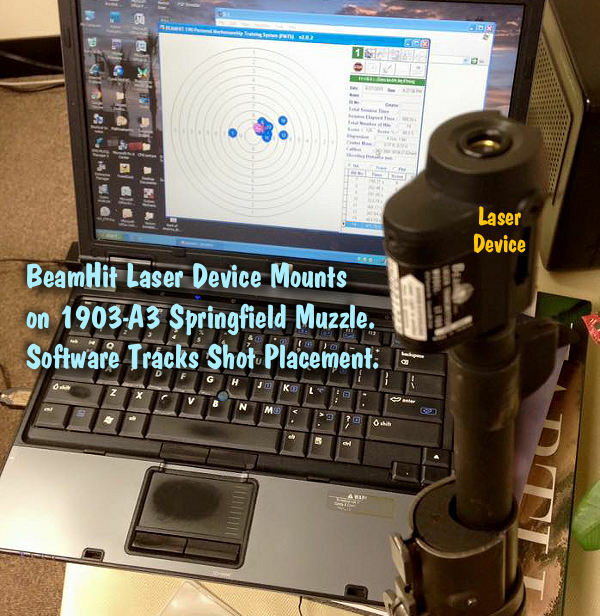 The BeamHit 190 software allows shooters to choose from multiple targets and even create timed scenarios. You can save strings of fire for later review directly on the connected computer. The included software is compatible with Windows 98, ME, 2000, XP, Vista, Windows 7. It seems like the system Dennis used is out of production, though EoTech still offers a 190-3 system through Amazon.com. 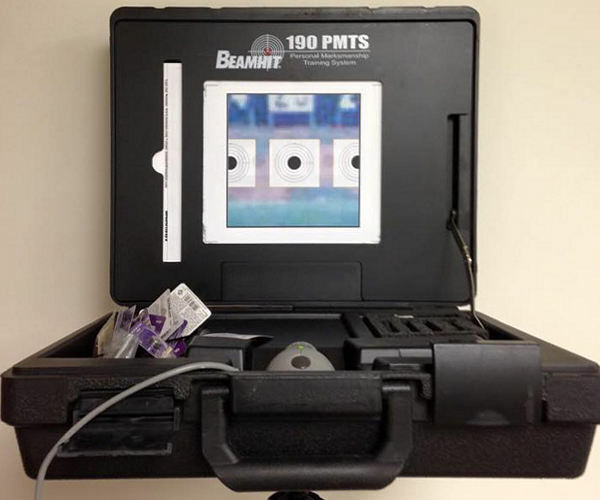 The BeamHit 190 system has been replaced with the simpler Insight/Beamhit MDM1001 Portable Target System. This is less sophisticated and does not require a connected computer. Share the post "Something Old, Something New — Laser Training with M1903A3"